At a time when companies, workers and politicians should be working together to grow the U.S. economy, some politicians and companies are engaging in divisive petty partisan politics. Instead of creating jobs and safe workplaces, these politicians and companies want to overturn Missouri’s labor laws and enact legislation deceptively misnamed “Right to Work” (RTW). Right to Work laws have nothing to do with providing rights or work. In fact, Right to Work laws make it harder for middle class families to protect their wages and job security and take away their voice in the workplace. At a time when CEO pay has grown 364 times higher than what the average worker makes, this law would give big corporations even more power to cut wages and benefits so they can make higher profits. RTW laws have nothing to do with providing rights or work. Instead of passing Right to Work laws that hurt the middle class, politicians should preserve the right of companies and workers to work together and strengthen Missouri’s economy. Federal Davis-Bacon law sets a wage floor for federal construction projects that prevents government spending from undermining local wages and living standards. Thirty-two states also have “Little Davis Bacon Acts” or state prevailing wage laws that apply to state-funded construction projects. Prevailing wage laws ensure that all contractors bidding on public construction projects will pay family-supporting wages and that these projects will be built to the highest standards by skilled, safe, well-trained construction craftspeople. The projects built under the Davis-Bacon Act have stood the test of time while enabling generations of craftspeople to build better, stronger lives for themselves and their families. Corporate interests and their advocates claim that Davis-Bacon increases taxpayer costs, but numerous studies have shown it does not. Employers who oppose prevailing wage do so because they want to cut workers’ paychecks and pocket the pay-cuts as profits. Far from saving taxpayers money, repealing the Davis-Bacon Act and state prevailing wage laws lowers the quality of projects, leading to costly delays, repairs, and even re-dos down the line, leaving taxpayers holding the bag. Lowering these wages also dries up local and state tax revenue, creating a race to the bottom that benefits no one. There is nothing we do as a Union that is more important than safety. No matter what we grieve or negotiate, whether it’s wages, holidays, sick leave, pension, or medical insurance, the most important aspect of your job is that you go home every day the same way you came to work. While we can negotiate or re-negotiate all of your terms and conditions of employment, we cannot re-negotiate a lost finger, eye, or heaven forbid, a fatality. Since their inception, Unions have fought for safer conditions in the workplace. That work continues today as employers constantly talk about safety, but often put production ahead of safety. In fairness, there are employers that share our passion for safety, and choose work with us to minimize or eliminate workplace hazards. We must continue to be vigilant every day in the workplace and look out not only for ourselves, but also for our brothers and sisters. Rest assured, Local 148 will continue the tradition set down by those that came before us to make the workplace safer today than it was yesterday. Local 42 trains our members in emerging technology in the construction industry. This allows our members to adapt to provide the best service. This also allows contractors to expand their business potential by having a highly trained workforce. It’s time to stop sugar-coating the issue of America’s crumbling roads and bridges. The deteriorating condition of our transportation infrastructure, with one in four bridges deficient or obsolete and potholes and other poor road conditions contributing to approximately 10,000 traffic deaths a year – coupled with hundreds of thousands of jobs at risk. 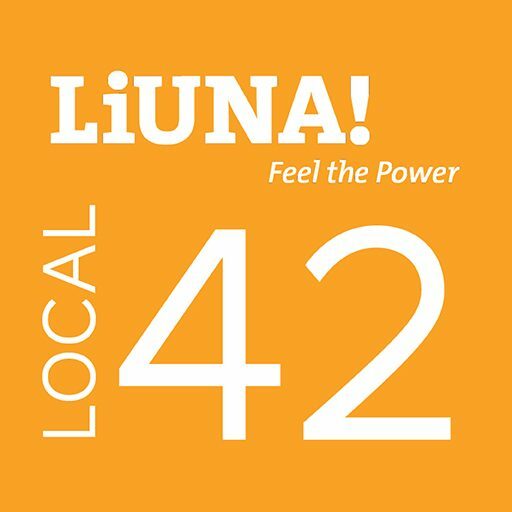 Local 42 also puts to good use our pension fund monies toward investing in infrastructure projects.